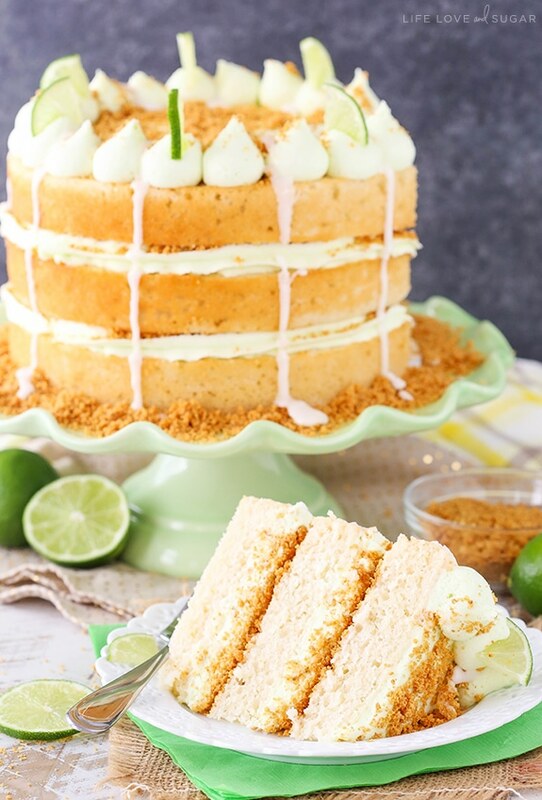 This Key Lime Pie Layer Cake is so good! 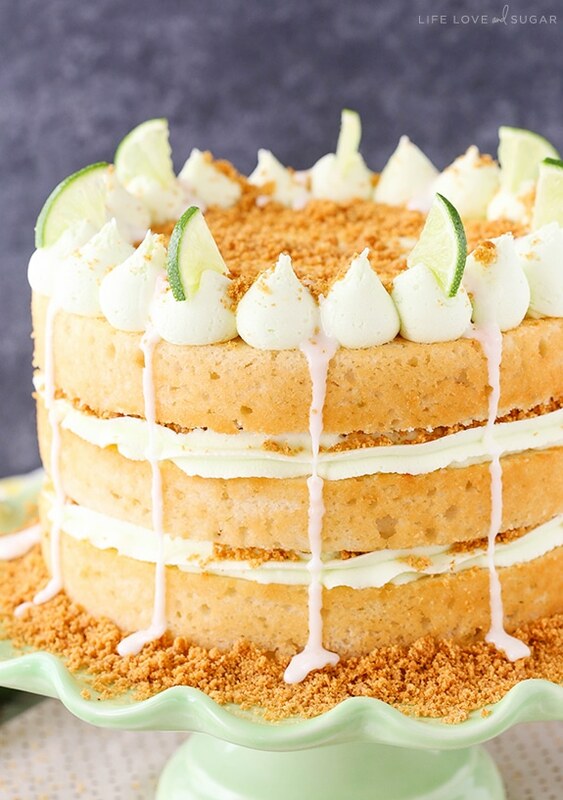 Layers of key lime cake, key lime frosting with a touch of sweetened condensed milk and graham cracker crumbs make this cake reminiscent of the pie and full of flavor! So I’m pretty sure I’ve mentioned before that the hubs and I are opposite as far as weight is concerned. He looks at food and loses weight. I look at food and gain it. He’s naturally drawn to healthier food. 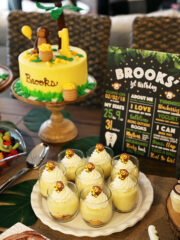 I like…cake. It’s a problem – for both of us. See, I want to be like him and he wants to be like me. I’d love to eat anything and not gain weight and he would love to be able to put on even a little bit of weight. So when he was on a fishing trip with some friends last week, he didn’t eat all that well for several days. It wasn’t really intentional, but he just ate what his friends normally ate. Well, he got home and was pretty pumped because he actually gained some weight. So now he has me stocking the pantry with all the things they ate on the trip – beef jerky, ice cream, eggs. So then we were going to dinner last night and he put on his shorts and was totally shocked and mock upset that his shorts were actually tight. Like, he actually said he might have “love handles” and asked if this was what a “muffin top” top was. Mind you, he has no idea what real love handles are like, but he was pretty darn funny. 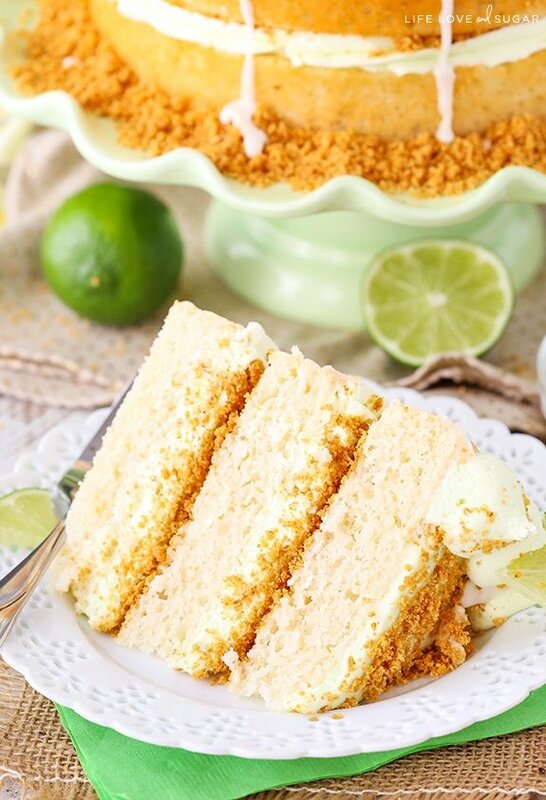 And if you can’t resist key lime pie, you definitely won’t want to even try to resist this cake. It’s pure heaven. Sweet, tart and delicious. 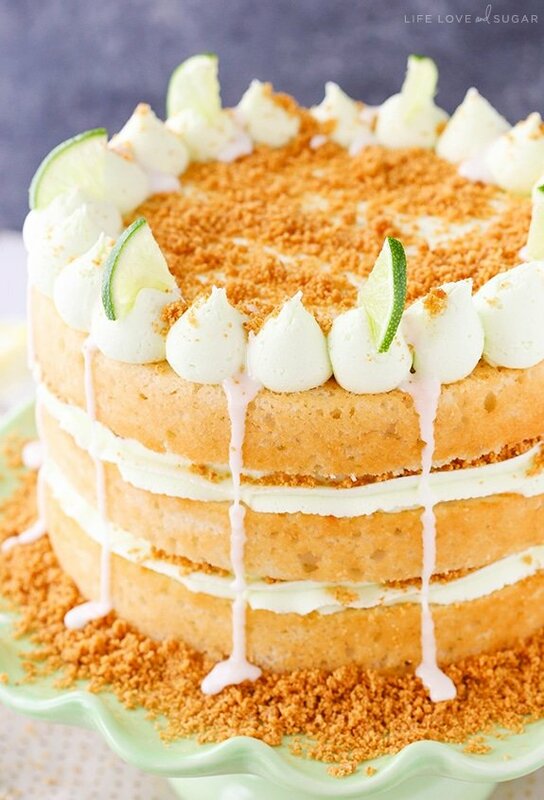 The cake layers are flavored with key lime juice and key lime zest. Although honestly, you could totally use bottled key lime juice and regular limes for the zest. Key limes can be tough to find, so don’t stress. It’ll be just as tasty the other way too. 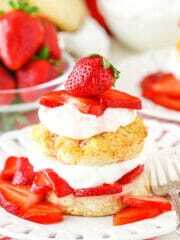 The cake is moist, light and lovely. The frosting is made with key lime juice as well, plus some sweetened condensed milk. 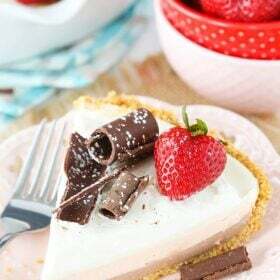 I love the flavor of the sweetened condensed milk in the actual pie and you get a nice subtle taste of it in the frosting. To complete the pie in cake form, I added the graham cracker crust. The crumbs, a little sugar and some butter are combined and then baked, just like if you were making an actual crust. It’s layered right into the cake! Once the cake is built, it’s topped with a little more frosting, some glaze and a few quartered key limes for a super fun finish. I spread the frosting just in the middle of the cake, leaving about an inch around the edge to add the piping. The drizzle is a simple glaze made with sweetened condensed milk, key lime juice and powdered sugar. It’s easy to add to the cake just using a spoon to drizzle it down the sides. 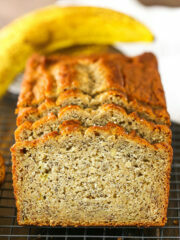 If there’s some left over, I’d serve it right with each slice of cake – so good! 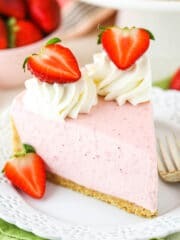 This is such a fun cake and is great for summer! It’s festive and makes you feel like you should be at the beach, if you aren’t already. Plus – yum!! 1. Preheat the oven to 350°F (176°C). Line the bottom of three 8-inch cake pans with parchment paper and grease the sides. 2. In a large mixing bowl, beat the butter and sugar together on medium speed until light in color and fluffy, 3-3. minutes. 5. Add the egg whites in two batches, mixing until incorporated after each addition. Scrape down the sides of the bowl as needed to make sure everything is combined. 6. Combine flour, baking powder and salt in a medium bowl. Combine the milk, water and key lime juice in a small measuring cup. 7. Add half of the flour mixture to the batter and mix until combined. Add the milk mixture to the batter and mix until combined. Add the remaining flour mixture and mix until smooth. Scrape down the sides of the bowl as needed to ensure everything is being combined. 8. Divide the batter evenly between the prepared cake pans. 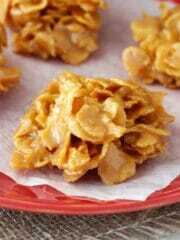 Bake for 22-24 minutes, or until a toothpick inserted in the middle comes out with a few crumbs. 10. In a small bowl, combine the graham cracker crumbs, sugar and melted butter until crumbly, then spread onto a lined cookie sheet. Bake at 350°F (176°C) for 5 minutes, then remove and set aside to cool. 11. To make the frosting, beat butter and shortening together until smooth. 12. Add about half of the powdered sugar and mix until smooth. 13. Add keep lime juice and sweetened condensed milk and mix until smooth. 14. Add remaining powdered sugar and mix until smooth. Color the frosting with the yellow and leaf green icing colors. I used a very small amount of both. It won’t take much to get a nice lime green color. 15. When you are ready to build the cake, remove the domes from the cakes with a large serrated knife, so that they are flat. 17. 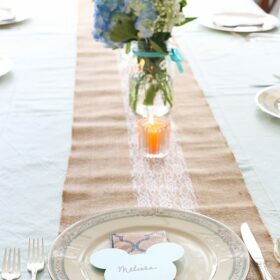 Add the first layer of cake to a serving plate or a cardboard cake circle. 18. Top the cake with a layer of frosting. To get the frilly edges like I have, I used the Ateco 844 icing tip. 19. Top the frosting with about 1/3 of the graham cracker crumbs. 20. Add the second layer of cake and repeat steps 18 and 19 with the second layer of cake, then top the cake with the third layer of cake. 21. Spread about half of the remaining frosting onto the top of the cake, then pipe frosting around the edges. I used Ateco tip 808, a large round tip. 22. 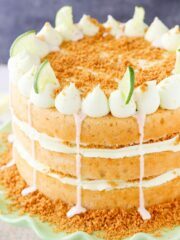 Sprinkle more graham cracker crumbs over the top of the cake and around the base of the cake, if desired. 23. 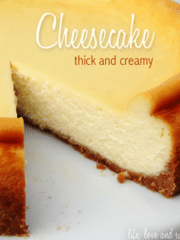 Combine the additional sweetened condensed milk, powdered sugar and key lime juice in a small bowl, then use a spoon to place the drizzle around the outside edges of the cake. 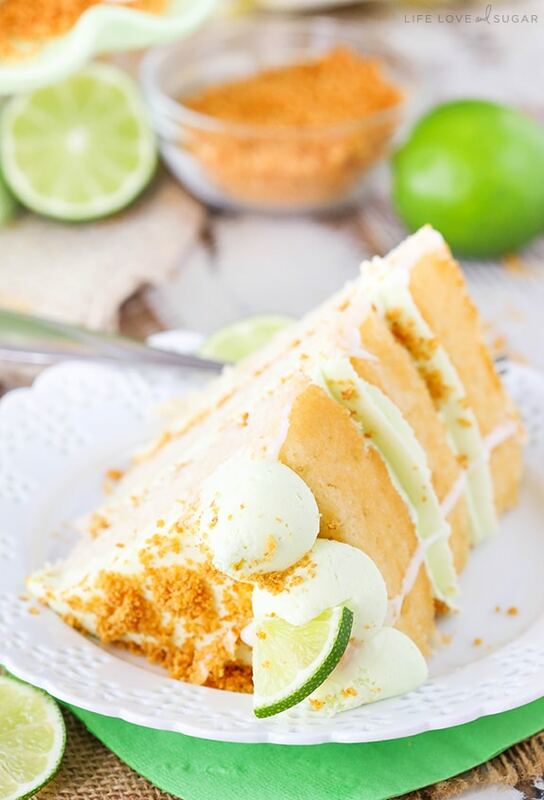 Finish off the cake with the key lime slices. If you can’t find key limes or they aren’t in season, you can use the bottled key lime juice. In that case, for the zest and key limes for decoration, just use regular limes. Ohhh you made me laugh out loud with the story about your hubby! It’s never the way you want it to be, is it?! So unfair! 🙂 Thanks Vivian! My husband used to be like that, but lately he’s had to work to keep in shape. I’m evilly glad about it, especially since the man can still eat a ton more than me and not have any dire consequences, whereas I’ve worked out every day of my life since I was a teen to maintain. This cake would cause me to pack on a few, but I wouldn’t be sad about it. Forget about beef jerky. This cake is a dream come true! I recently found your blog and I just love it. You make the most beautiful desserts I have ever seen . 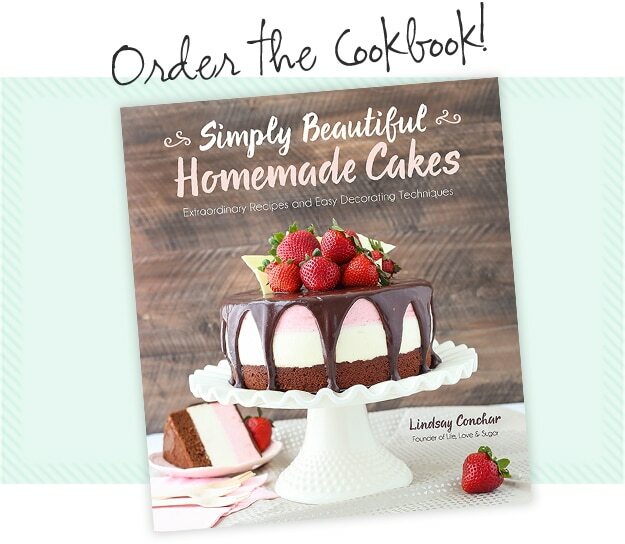 I cant wait until your cookbook comes out. Thank you so much Angela! 🙂 I’m so glad you found the blog and have been enjoying it! Oh my word, this is STUNNING!! Absolutely breathtaking. 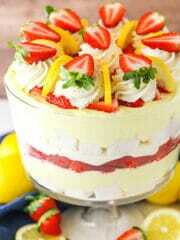 I want to reach into my screen right now and grab a slice! 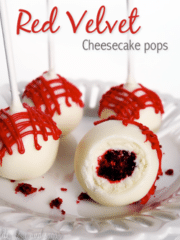 I am not generally big on sweets but this certainly got my attention. It may have to be my birthday cake. Sounds delish! Clarifying question. Are the egs whites beaten until soft peaks? Or just mixed together and still liquid when added to the batter? Just mixed together and still liquid. I just mixed them together in a bowl a bit to help them break up and incorporate into the batter better. I made the cake but each layer came out really dense and heavy. It still tasted really good and everyone ate it but I’m wondering if I did something wrong. An advice? Thank you so much! It’s tough to say for sure, but there are some possible culprits. One – did you fully cream the butter and sugar? This is big – it adds air to the batter which makes it light and fluffy. You should be beating the butter and sugar together for at least 3 minutes on medium speed. You’ll actually notice the color and texture change and be lighter and fluffy. If you did that, then I’d ask if you perhaps used whole eggs instead of sticking with egg whites. I did this once – curious if it’d make a difference – and it does. You definitely end up with a cake that doesn’t bake as well and is denser. Can I make this the day before and leave on the counter? Or will it spoil/ get soggy? Yes, it should be fine. I usually store it on the counter in a cake carrier. I love key lime pie but this sounds and looks even better. Can’t wait to try it! I baked this yesterday for an anniversary dinner for my parents. It was beautiful, and a big hit! I added a layer of homemade lime curd between the layers as well. 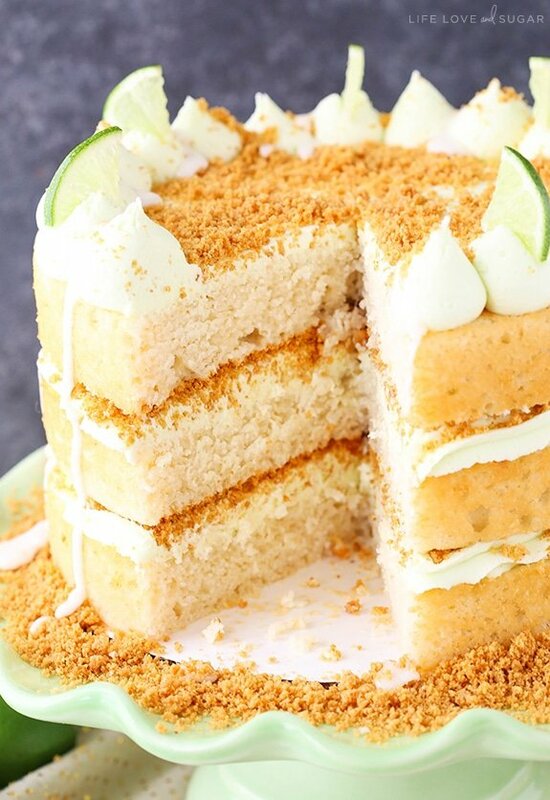 Did adding a layer of lime curd between the layers make the graham cracker crumbs soggy? In my experience, it shouldn’t. Curd is quite thick, almost like pudding so it doesn’t really soak into cake. Can someone tell me how long it takes to actually make this cake? Or at least an estimate? Planning on making this for a coworker but his birthday sits on this year’s black Friday and I’m not sure how much time I’ll have on Thanksgiving to make this? I find baking and decorating times to be tough because everyone works so differently. I’m probably quicker than average too, since I do it so often. That said, I’d say it’s about 45 minutes to an hour to bake the cake layers. 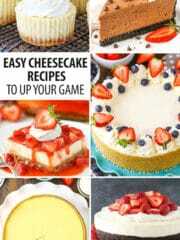 Then another 1-2 hours for making frostings and decorating. The cakes could probably be made the night before Thanksgiving and then the cake could be decorated Thanksgiving night or Friday morning. It should be fine. That actually sounds like a great method-making them the night before Thanksgiving, and then decorating them when I get home. Thanks for the estimation, I appreciate it! Can’t wait to make (and taste) this cake! I’m so glad you enjoy them! Sadly I’m not able to see the photo. I’m making a 3 tier wedding cake. How thick are your layers when you use 3-8” layers? I need to make 2-2” layers for 8”,9”, and 10” tier, so I’m trying to figure out how many batches of the cake batter I will need. I’d say they are roughly 1 1/2 inches per layer, maybe a touch taller. Can the frosting be made ahead of time, such as the day in advance? I wanted to make the cakes and frosting the day before then frost and decorate the next day. I am just like you in terms of eating and weight. My brother was just the opposite. He could drink a gallon of milk and eat anything he wanted. Never gained an ounce. I remember when my jeans were 36-30 and his were 30-36. it is unfair. 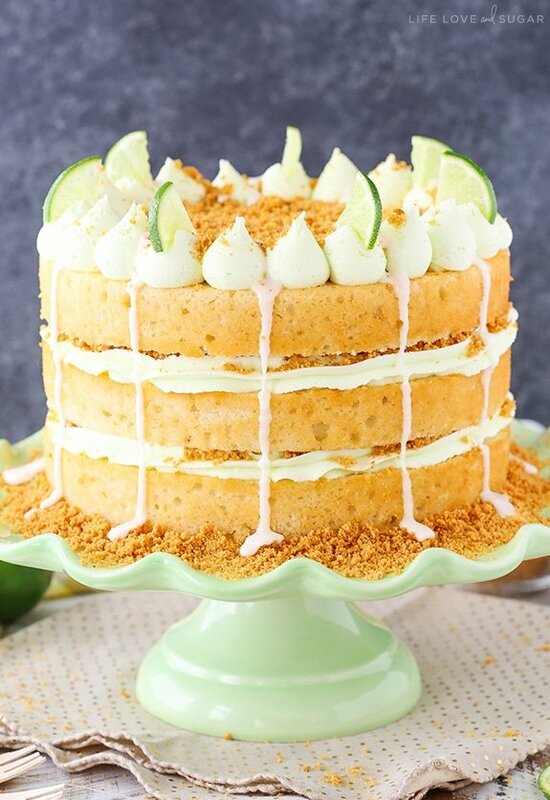 Could you make this cake without the “Pie ingredients” : such as the graham cracker and the glaze and just make it a Key lime Cake? Sure, you could just make the cake layers. Do you think I could substitute ginger snaps for the graham crackers?